Facebook quietly explored building bird-sized drones loaded with data to help improve people’s internet connections. The Menlo Park, California-headquartered technology giant worked on a far-out project for the last few years called “Catalina,” that aimed to build tiny fixed-wing aircraft capable of ferrying media to communities to augment existing slow internet connections like 2G, Business Insider has learned. The efforts illustrate how Facebook has been exploring out-of-the-box concepts in its attempts to connect people around the world to the internet for the first time and grow Facebook’s userbase. And it shows that even amid Facebook’s public retreat in June 2018 from building its own 747-sized “Aquila” drones to provide internet connectivity to emerging markets following Business Insider’s reporting on upheaval on the project, the company was also considering other, even less conventional aerial methods of providing connectivity solutions. Development of Catalina began in late 2017 or earlier, a source said, and work on it continued past June 2018 — meaning that even after Facebook’s announcement of shutting the Aquila unmanned aerial vehicle (UAV) project, the company was still exploring the potential of using drones in other forms. A Facebook spokesperson said the Catalina project was ended a year ago. It’s not clear exactly when it was discontinued. The social network’s immense scale means that it has effectively saturated established markets like the United States and the United Kingdom. It has historically been laser-focused on growth — and achieving that goal now increasingly means ambitious hardware projects to introduce the internet to people in emerging market countries around the world for the first time. That’s where Facebook Connectivity comes in. Today, the unit has several ongoing efforts, including its controversial Free Basics program that provides free data and limited internet services to people; high-altitude connectivity, which Aquila was part of and Facebook continues to invest in with third-party partners; OpenCellular, which builds cheap base station tech to expand mobile networks; and others. Santa Catalina Island’s Avalon harbor. The Catalina project was named after Santa Catalina Island, a California island off the coast of Los Angeles that in the latter half of the nineteenth century used pigeons to deliver messages back and forth between the mainland. The twenty-first century Catalina would work in much the same way — only using mini-drone messengers instead of flesh-and-blood avians, and carrying digital payloads instead of handwritten notes. 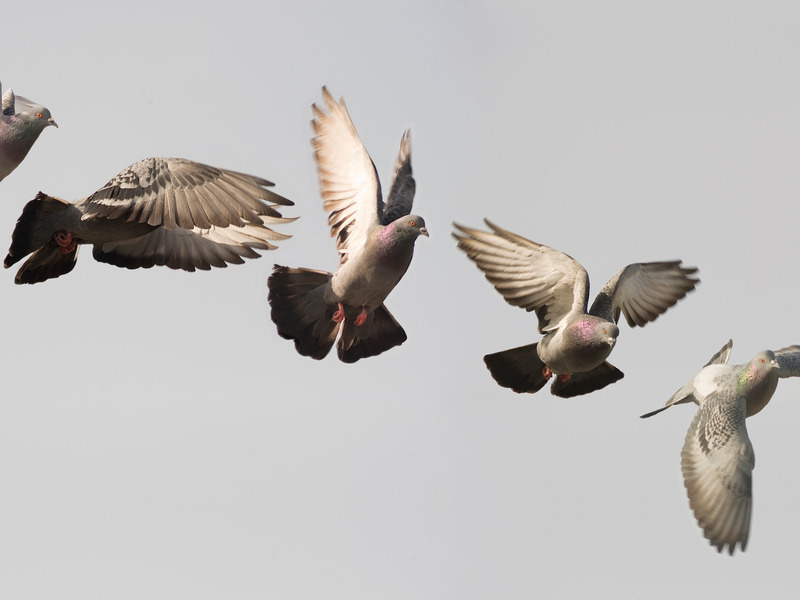 The vision was to build a fleet of “bird-sized” fixed-wing drones with high-density solid-state storage drives on board, that could then be used to ferry data back and forth as required. These drones would be significantly smaller than most traditional, off-the-shelf drones — one source said they were closer in size to a sparrow than an eagle. This could provide a way for people in areas with low-bandwidth internet connections to consume data-intensive content like video-streaming without needing to build expensive new permanent telecoms infrastructure. For less data-hungry tasks, like texting and phone calls, users would continue to use their existing networks. Facebook had planned to first test it with content for its core apps like Messenger, and to eventually expand the airborne service to third-party apps like YouTube and Netflix — an indication as to how Facebook’s Connectivity efforts act as a vehicle to drive user growth and engagement on Facebook itself as much as to improve access to other internet services. Not all of Facebook’s experimental connectivity efforts to get people to join Facebook have been so high-tech, however. Between 2015 and 2017, it ran a program internally referred to as “Street Feet” in certain emerging market countries (Bangladesh and Tanzania, a source said). Facebook paid locals in the countries to directly approach random people in the street and try to persuade them to sign up for the social network.